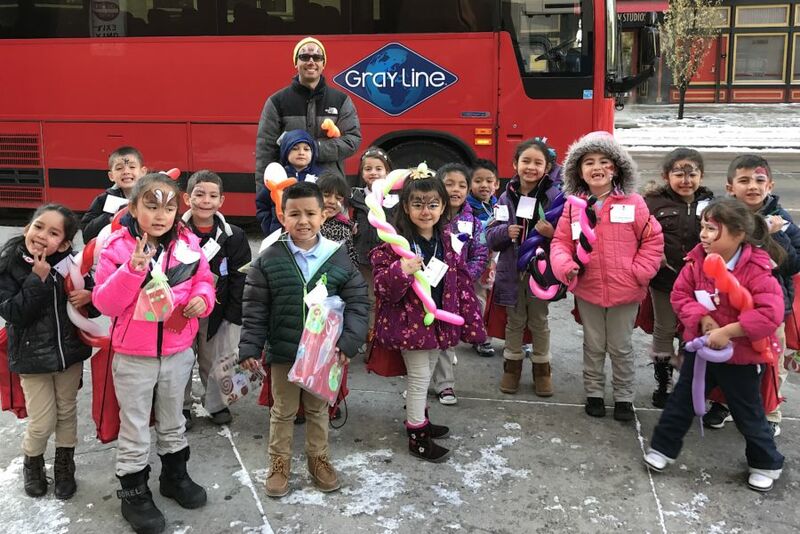 Andres Pazo, a kindergarten teacher in an ESL Spanish class at Denver’s Maxwell Elementary School, doesn’t do things halfway. Before Denver Broncos home games, he’ll come to school with his face and hair painted orange and navy. For holidays or school book fairs, he wears full themed costumes. A passionate cyclist, he dresses in professional cycling gear to teach bike safety to children. Pazo, who colleagues say has a smile for everyone he meets, received one of Denver Public Schools’ four Leadership Lamp awards last summer. He talked with Chalkbeat about the teachers who inspired him to enter the field, why he uses secret codes to get his students’ attention, and how he gets to know students before school starts. I’m from Caracas, Venezuela, and decided to become a teacher during my last year in my country. For all the universities that I applied to, I put elementary education as my first choice, and I got accepted. During high school, I had some teachers that impacted my life — I think because they taught with their hearts and reached mine. Hector Zamora was my geography teacher in college. He didn’t care about scores. He just wanted us to know, love, and feel geography. Also, I can add Evelia Mujica, my eighth grade biology teacher. She was super-strict and funny, but in the end, I think she just wanted us to love and really know about biology. These two still inspire me every single day to be a good teacher. My classroom is a room where my students feel safe and loved, and where they try hard all year long. It’s also messy, and you can see many masks and hats that I use to engage my students in lessons, and, of course, their projects throughout the year. Fill in the blank. I couldn’t teach without my _____. Why? Motivation. It is what keeps me thinking of activities, projects, lessons, and ideas so my students enjoy anything that they need to learn. My favorite lesson to teach is a writing unit at the end of the year, called “All About.” I always bring in things that I love — like my bikes — and write about them. I let students write about any small moment: about something that they love, the food their parents make, a family trip, a family visiting them, a good or sad day … anything they would like to share. They usually bring in their favorite toys. The students’ writing is amazing because they apply everything they’ve been learning. They try so hard to write everything about their toys. You can hear them sharing their stories with others, and their pictures are incredible. Writing is a good indicator of how much they have grown during the school year. I sit with him or her after the lesson is taught and work on the skill that needs to be mastered. I use a lot of “secret codes” with my students. For example, when I say “mustache code,” they put a finger across their upper lips. They can be working, reading, or playing, and when I say it, I have 100 percent of students’ attention right away. It starts before the first day of class. I usually write letters to them or do home visits. I take the first two weeks of school to get to know them and what they like to do. I take time to welcome them so they can feel safe and confident in the classroom. When I was working at Denver Center for International Studies at Ford, we started a home visiting program. We first thought parents didn’t have time for us or that they didn’t want to take the time. But, once we started making the calls and found that parents wanted us to come, we understood that parents didn’t know about the program. After that, some parents became more involved in their kids’ education and with the school. A lot of mountain bike reviews about bicycles, parts, or trails to ride. Congratulations Mr. Pazo! Maxwell is lucky to have you!